Reflect Research discovers what people need... and we bring it to life in a way that inspires solutions. We utilize anthropological techniques, interviews, and secondary research to gather information about [behaviors + feelings]... connecting the dots to discover what a group of people need (we call these NeedSpaces). We bring NeedSpacces to life using [words + pictures + videos]... making it easier to think-up new ideas inspired by the needs of your target customer. 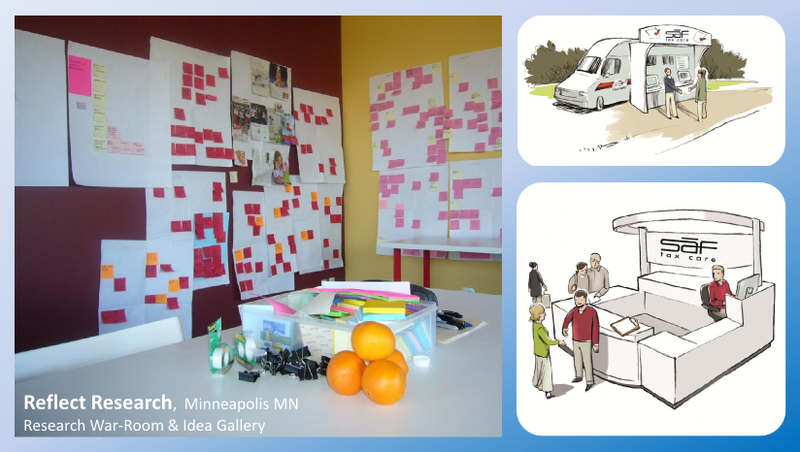 We facilitate the ideation process and bring new solutions to life using [words + pictures + videos]... revealing a range of solutions inspired by people's needs. Projects are customized to the needs of the client. As such, costs can vary greatly (often falling below or above the specified range).